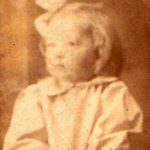 Libbie Frances Claybourn was born on 19 March 1881 in Farrington Township in Jefferson County, Illinois. She attended Mt. 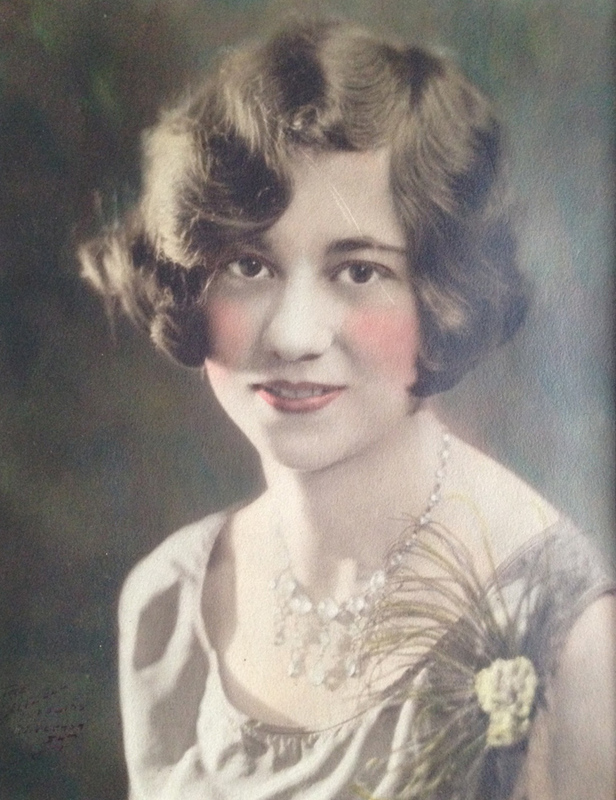 Vernon High School for three years and then worked in her sister Eva’s millinery store. She had a beautiful soprano voice and sang duets with her sister Birtie. She sang in the choir of the First Methodist Church from the time she was a girl until late middle life. She studied voice after she was married and was in a production of “H.M.S. Pinafore” and other musical events. She was often in demand as a soloist and to sing duets for special events and sang at many funerals, all without pay. 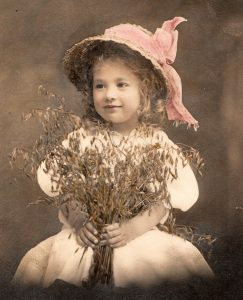 Libbie married (1st) on 29 June 1902 to Edwin Charles Pinnell. [Edwin Pinnell was born on 24 October 1878 in St. James, Missouri, as the son of John Wesley Pinnell and Mary Edwards.] He had moved to Mt. Vernon with the Chicago Railroad Tie Preserving Company (later the Moss Tie Co.). Ed worked as a chemical engineer and foreman of the plant. On 2 December 1911 he was promoted to Chief Engineer. He died as a result of cerebral hemorrhage on 15 May 1915 in Mt. Vernon and is buried in Oakwood Cemetery there. After Ed’s death Libbie and her daughter lived with her parents and sister Eva at 2100 West Broadway in Mt. Vernon. 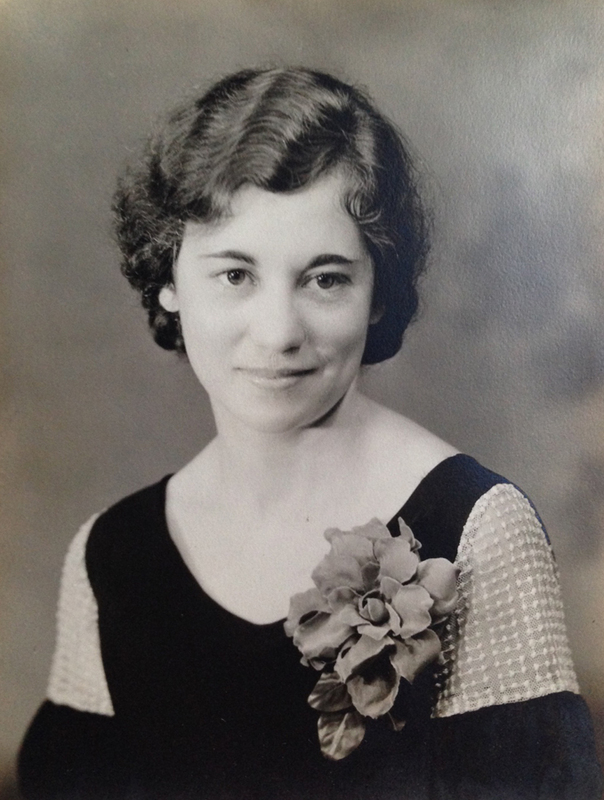 Libbie worked in the business office of the Bell Telephone Company for many years. 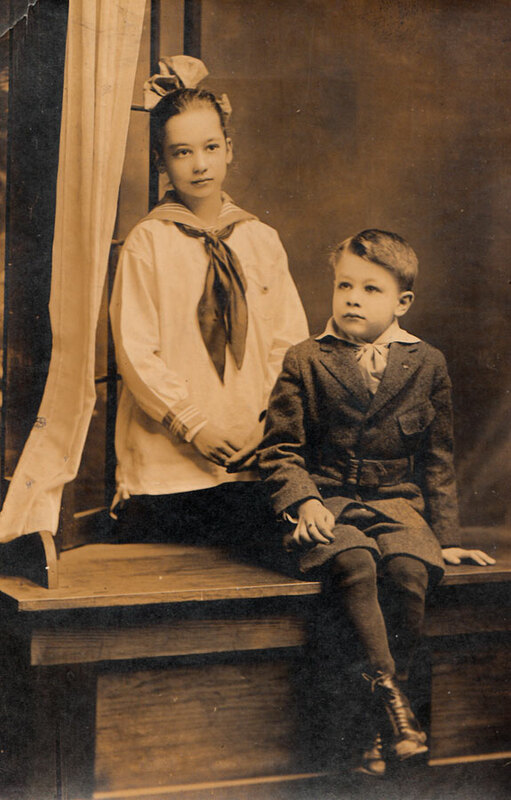 She married (2nd) in May of 1925 to John R. Griggs, a widower and Mt. Vernon grocer born in 1868 in Hamilton County, Illinois. 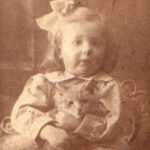 After his death in 1928 she lived with Eva and continued living at 200 N. 14th St. in Mt.Vernon until 1946, when she moved to McKinney, Texas, to live with her daughter. There she was active in the First Methodist Church and Sunday School and made many new friends. Her daughter and son-in-law took her on many trips all over the United States during her active years with them. She was an invalid for the last five years of her life. Like most of her sisters Libbie was small in stature and, also like them, had snow white hair in middle age. She had a very sweet disposition and was a devoted daughter, sister, wife and mother. 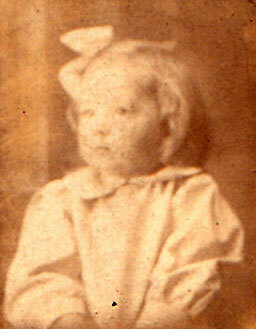 Libbie died on 6 December 1958 in McKinney, Texas. She is buried in Oakwood Cemetery near her husband. 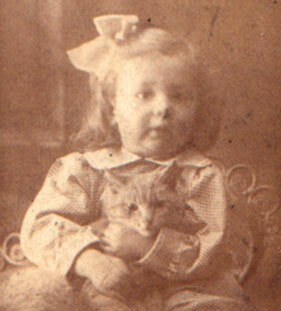 Martha Harriette Pinnell (“Harriette”) was born on 8 May 1907 in Mt. Vernon, Illinois. She graduated from the University of Missouri with a Bachelor of Science degree in art education. At various points in her life she also attended the St. Louis Art School, the Art Institute of Chicago, and the Dallas Museum of Fine Arts School. Harriette taught upper elementary grades at the Schiller School in Centralia, Illinois and one year at Franklin School in Mt. 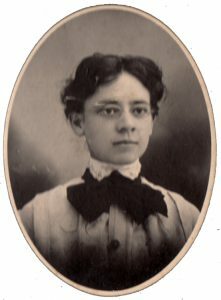 Vernon, prior to her marriage. Thereafter she taught at the Allen Texas High School for a year and the Junior High School in McKinney, Texas from 1945-1952, where she taught English, art and girl’s chorus. During World War II Harriette directed a craft program for the U.S.O. with classes for solder’s wives and for couples in Neosho, Missouri. In addition to visual arts, Harriette was a talented singer. She studied voice and sang in college choruses, including one that went on tour in Oklahoma, and sang in church choirs from age 14 to 46. She also performed some solo work and sang with the “Mother-Teacher Chorus” in Centralia, Illinois, and in community productions of “Elijah” and “The Messiah”. In McKinney, Texas Harriette was active in the Art Study Club which also had an active painting and craft program. In that club she held all offices. She was also President of the City Federation of Women’s Clubs from 1959-1962, a member of the library board in McKinney, and a lifelong member of the Wesleyan Service Guild, holding most offices. On 10 September 1939 she married Victor Lennes Threlkeld. [Victor Threlkeld was born on 3 July 1912 in Mt. Vernon, Illinois, to Harry L. and Gertrude Threlkeld in Hevne, Norway.] Victor attended Southern Illinois University where he sang in the Chorus and graduated from the University School of Pharmacy in 1939 with a Bachelor of Science in chemistry and pharmacy. Thereafter he worked as an assistant manager of a Walgreen Drug Store in Mt. Vernon from 1940-1942. During World War II he worked as a civilian pharmacist for the War Department in Camp Crowder, Missouri and at Ashburn General Hospital in McKinney, Texas. He was refused for military service because of a hip operation. In McKinney, Victor held all offices of the Kiwanis Club, including President in 1958. He was on the Official Board of his Methodist Church, as well as the music committee, the pastoral relations committee, president of the couple sunday school class, and sang in the choirs from 1934-1953. He was also a member of the Junior Chamber of Commerce in 1947 and served on the Board of Directors of the Community Center in 1959. After World War II Victor worked as a pharmaceutical representative until 1955 and then on the staff of the Baylor Hospital Pharmacy from 1955-1956. Thereafter, from 1956 onward, he was a partner and pharmacist-manager of Crary Drug in McKinney, Texas. Harriette and Victor had no children. Victor died on 3 October 1992 and is buried at Oakwood Cemetery in Mt Vernon, Illinois. Harriette died on 6 May 2000 and is buried near her husband at Oakwood Cemetery.